We had a fun and busy Valentines Day weekend! It all started with the Preschool party on Thursday. It was my turn to teach, so we had the party at our house. 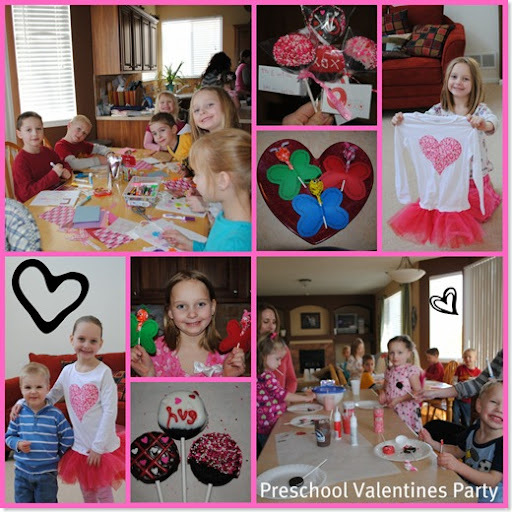 The kids made Valentine Oreo suckers, ate pizza, decorated bags, and passed out Valentines. I was also doing the oreo suckers for Halle’s school class. Joanna and Angela, being the creative ladies they are, decorated them for me. They turned out so so cute! Thanks gals! I don’t know what got into me–I was very crafty there for a few days. In addition to the oreo suckers and annual sugar cookies, I made the tutu shirt Halle is wearing. Are you proud of me? 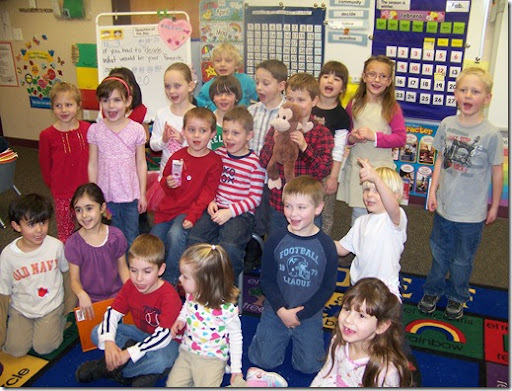 Then came the Kindergarten Valentine Party. With that came more candy. Saturday was date night. Rusty and I got a babysitter for the evening, and headed down to the temple. 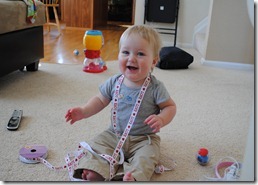 I must confess that since being pregnant and having a newborn, we have not been in quite some time. We finally felt like Blake was old enough to be left for the 5ish hours it takes to drive down, do a session, and drive home. We walked up to the door, tried to pull it open, only to find it was locked. Uhh…the temple closes at 4 on Saturdays. It was 5:30. SERIOUSLY???? So we went to dinner at On the Boarder and then just cruised around the mall. But my favorite one you can see HERE. Scroll almost to the bottom of the post. It was so fun to hide the Valentine in his car, laptop bag, etc. 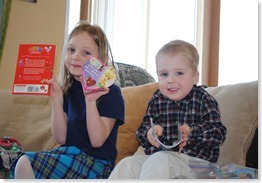 The kids also got Valentines from both sets of Grandparents. We are swimming in chocolate, candy, and baked goods. We ended the day with dinner at the Loveridges. We needed a good excuse to go snuggle baby Khloee again. She is such a doll! Halle's shirt turned out SO cute! Good job! Your idea with Rusty is cute, I may have to steal that for next year. This year (as a joke) I gave Fred some Twilight sweethearts (w/ a picture of Edward and says “you're my valentine but Edward has my heart” and he wasn't impressed! (His real gift was some concert tickets). Yo are so creative! the suckers sound really yummy and Hallies shirt was so cute! I love it! You could totally be sporting a mu-mu for your self with those awesome sewing skills! Awww, how sweet. Those kids of yours are just too cute. 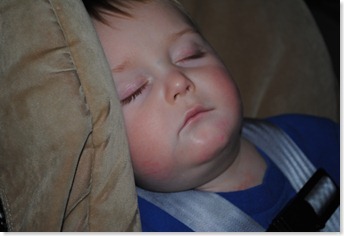 I am glad to see that Blaker is still just as chubby as ever. I can't believe he is starting to crawl already! Wasn't he just born yesterday? The tu-tu shirt was impressive. What a seamstress you have become. Way to go! Love you! V-Day looks like it was a jolly-yummy good time! 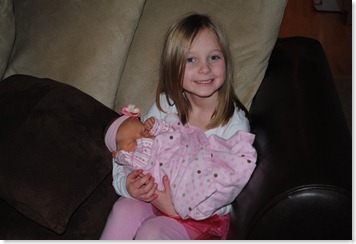 Your kiddies are getting bigger and bigger and so so cute. I am completely impressed with your craftiness. You put me to shame. 🙂 (I know..not hard to do. ) You are such a cute mom though. I think I need to take some lessons from you! Reading this blog post made me tired… I can't imagine trying to actually DO all that stuff. Good job. It all turned out very cute.